Our question and answer series introduces the Milestones in Mentoring award recipients. 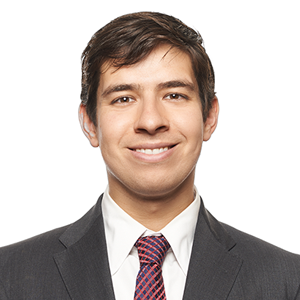 Experienced in bipartisan political outreach and coalition building, Jesse Salazar serves as the VP of Communications for the Council on Foundations. Previously, Jessee served as vice president of Government Relations and Policy for the U.S. Hispanic Chamber of Commerce, the country’s largest Hispanic business association. While there, he helped organize the Inaugural White House Hispanic Business Leaders Forum, the Hispanic business community’s immigration reform program, and the organization’s 2012 presidential election efforts. These included a Presidential Candidates Forum with Univision and Miami-Dade College and a major speech by Gov. Mitt Romney. Throughout my life, I’ve been lucky to have received the supportive mentorship of many people. At various stages of my life, folks have taken time to help me bridge the gap between who I am and who I should be. I’ve learned that there are two great gifts a mentee can give back: (1) to stay in touch and (2) to support others when possible. I do my best to do both. Throughout my career, I’ve sought to empower morally guided people with the tools they need to walk their paths and achieve their potential. As a queer person of color who has had great opportunities, I feel an additional social responsibility to ensure that talented young people have chances to learn, to network, and to grow. When I was younger and more impetuous, I used to focus on ability. I should have been more focused on character. As a mentor, it is easy to see in others the kind of possibility I wish I could have back in my own life. I want so badly to see others avoid the same mistakes I have made. But projecting my own desires on others can be a dangerous failing. Passion has driven my greatest successes, and you can’t impart passion to others. Their own story and their own struggle is what guides them; mine can only edify, not guide. What advice would you share with other mentors? Do your thing, not someone else’s. Bold leaders change the way things are done. They don’t just do what people expect. When I graduated from college, Bono gave our commencement and cited an Irish poet, Brendan Keneealy, who wrote, “If you want to serve the age, betray it.” Those words have lingered and left me with a deep skepticism about those who have “experience” working in a broken or misguided system. Be bold enough to look for moral people who will refresh the way things are done. Speak up. Ask questions. When you have access to accomplished people, try to make the most of it. We often let our admiration silence us, but if a mentor is a good person, he or she will be grateful for your curiosity and interest. At the same time, when you get invited to the table, get ready. Do your diligence and go into the room with as much expertise as you can muster. Once at the table, listen carefully, reflect, and contribute what you know to be true.